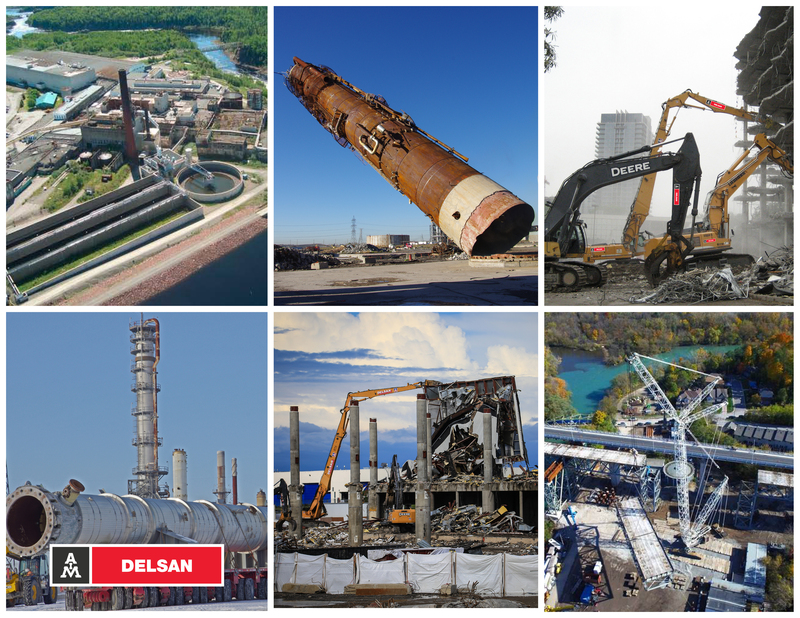 / CONTEXT Delsan AIM was contracted to undertake the transportation and demolition of heavy equipment – which includes steam turbine and overhead crane components – that were being removed from one of the operating units of the Bruce Nuclear Generating Station. / Delsan AIM was responsible for the on-site transportation of the equipment from the generating unit to a designated on-site laydown area, where the components were prepared for shipment to off-site recycling facilities. This multi-year project required careful planning and coordination to meet the project milestones as well as compliance with strict health, safety, environmental and security protocols. / The components were decommissioned of any hazardous materials and subsequently prepared for off-site transport by either shearing using a demolition excavator, or torch-cutting using manually operated oxypropane and thermal lance equipment. / Some of the turbine components, which weighed up to 150,000 kilograms, required special handling in accordance with engineered heavy-lift procedures, using 500-ton capacity hydraulic cranes. These components were transported along designated plant roadways using self-propelled modular transporters. / SCRAP RECYCLING Delsan AIM employed the in-house expertise of its parent company – American Iron and Metal LP – to ensure proper valuation of the scrap metals; minimize shipping costs; and source buyers in order to provide the highest returns for its client.